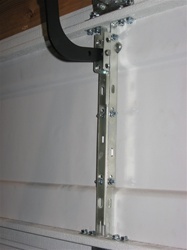 Adjustable operator bracket and mounting hardware installation instructions. Love it. Just the part I needed. Arrived in the estimated time. Great service. Just what I needed, and fast delivery. I could not find a bracket like this at any other site. I searched the internet for quite a while before I found your website. Very helpful. Part delivered very fast. Thanks. Could not find this part locally. Went on line and found it here. Ordering was easy. Price was good. Ordered late in the evening and it shipped the next morning, arriving via USPS in 2 days. Product is solid and sturdy. I'm very pleased.